The new Canadian start up Visa is said to promote entrepreneurial talent in the country. Canada has launched a new type of visa, aimed at foreign business executives in a bid to accelerate economic growth within the private sector and boost entrepreneurial talent. 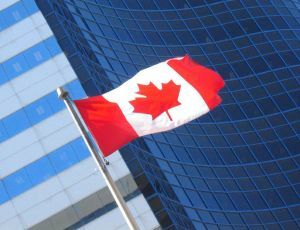 Foreigners can now fast track their status as a permanent Canadian resident providing they receive investment of CAD$200,000 from a Canadian venture capital fund or CAD$75,000 from a designated Canadian angel investor group. Candidates also have to meet general criteria relating to academic experience and language competency skills. The cutting of bureaucratic red tape, albeit still in its pilot stage, attempts to lure immigrant entrepreneurs. The aim is to form business connections with experienced investors with high levels of expertise in both funding and working with startups. Michelle Scarborough, Chair of National Angel Capital Organization in Canada stated, “There has been significant interest from both angels and entrepreneurs since the announcement of this program. The new visa is a short term program, starting this year and in practice for a probationary duration of of 5 years, with a cap of 2,750 visas being awarded in the first year. Although rival visa schemes are implemented in other countries, this dynamic approach grants permanent residency even if the business fails, spurring an even bigger incentive for fostering entrepreneurial talent in Canada. Following in the footsteps of the overwhelming success of Chile’s startup visa, which has undoubtedly changed the face of Latin American enterprise, this exciting new initiative hopes to bolster Canada’s competitive position in the international economy. Citizenship, Immigration and Multiculturalism Minister Jason Kenney added, “With our new startup visa, we are opening the door to new and exciting opportunities for Canada’s economy to grow and prosper.